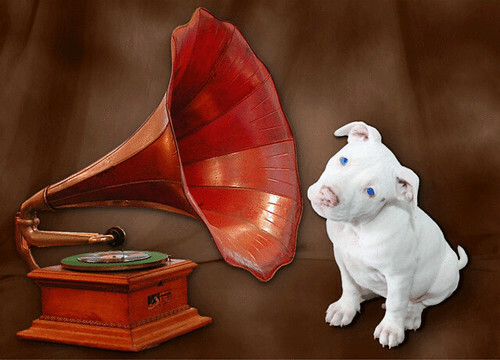 Kahuna Luna as New RCA White Puppy Dog, Ear Cocked Listening to "His Master's Voice", Vintage Phonograph, Music Mascot originally uploaded by BL1961. Simple, practical, effective marketing starts with Listening. Don't you think? Listening comes up all the time - especially if you're listening for it. And, particularly in conversations relating to marketing with social media even though it's relevant to all marketing. It's such a basic and critical activity, fundamental to building meaningful relationships, and yet think how difficult many brands, marketers and companies find it. Perhaps listening took place at the onset of a project - maybe in the form of research or a focus group. But, once the data and insights obtained, we shut the exercise down and hear no more. And, then we get into trouble. No? Listening came up during a Powered webinar titled "From Zero to Community: Practical Advice to Grow and Nurture an Online Community" with Rachel Happe from The Community Roundtable and Bert DuMars [who blogs at Exploring The Social Media Ecosystem] from Newell Rubbermaid. In listening [!] to Rachel and Bert, I was struck with how critical Listening is to building and nurturing a sustainable community. It conveys respect. It's a source of amazing ongoing insights, too. Intense, active listening never stops. It's also strategic and it goes beyond a specific product to understanding what the product enables. Take Sharpie Uncapped which celebrates the creativity that Sharpies facilitate. By observing and absorbing [i.e., listening] what Sharpie users do with Sharpie products, the company realized that it could offer value by showcasing what fans do, and create a forum for that greater creative community. Listening also represents a critical theme in Social Media's Collective Wisdom: Simplifying Marketing With Social Media, my e-book based on the first 26 interviews in my social media series about Bridging New & Old. It's a requirement for participation in social media marketing. We can no longer assume that we know what the answers are to customers’ questions, or that our initial research remains eternally relevant. Rather, we must become keen observers, listeners and facilitators with customers always in mind and do so on an ongoing basis. What are your thoughts about listening? Do you consider it as critical a first step to simple marketing as I do? 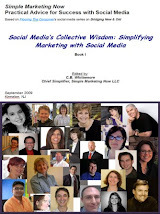 Download Social Media's Collective Wisdom: Simplifying Marketing With Social Media. It's free and chock-full of wisdom. Your title says it all. Thanks a lot for giving the insights about marketing. You are most welcome. Funny how difficult listening can be.